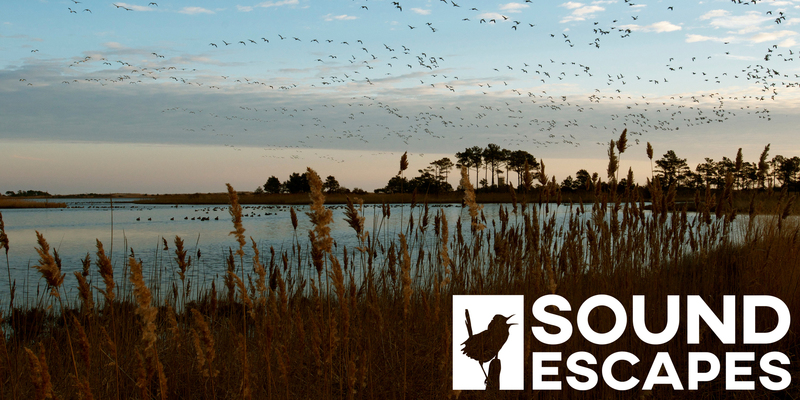 Welcome to Sound Escapes, a new podcast production from BirdNote. Over his long career, Gordon Hempton has mastered the art of truly listening. He’s known as the Sound Tracker. Some people call him an acoustic ecologist. 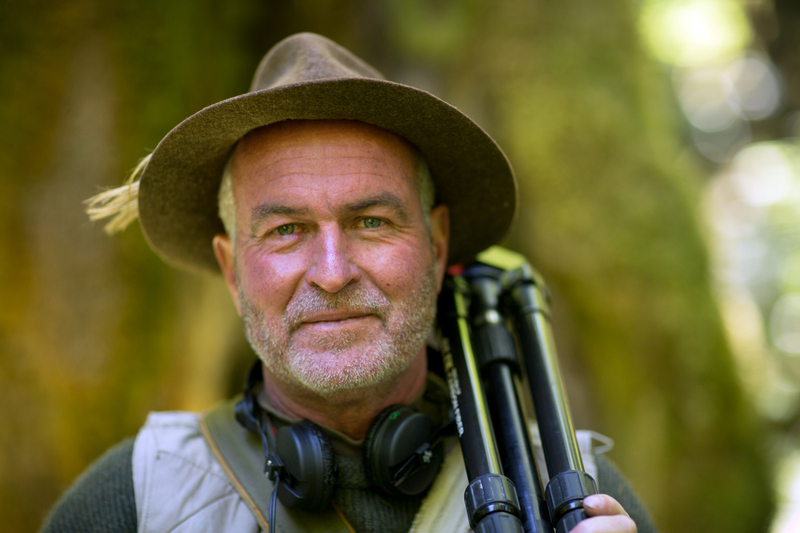 His recordings and books have made him an international expert on the beauty and importance of undisturbed, natural soundscapes — and the ways human beings have changed them. Now, Gordon Hempton is losing his hearing. But with that loss has come an intense urgency to share his life’s work — and his passion — with as many people as are willing to listen. So, Gordon and BirdNote have teamed up to bring you a truly unique audio experience. Over the next seven episodes of this podcast, we’ll be immersed in soundscapes that Gordon hand-picked from some of the most wild, beautiful and sound-rich places he’s visited. And, he’ll give us a crash course in the art of truly listening — something that he says is a dying art, constantly under threat in our noisy, modern lives. Throughout this podcast, you’ll hear soundscapes that will immerse you in incredible places and help you become a better listener. We’ll start in a rainforest on the Big Island of Hawaii in episode two. Then we’ll head to the grasslands of Saskatchewan to hear a prairie dawn chorus — complete with coyotes. In episode four, Gordon takes us to the Land Between the Lakes in Tennessee. Then we’re off to the banks of the Mississippi River in Arkansas to hear so many birds that Mark Twain called the experience “a jubilant riot of music.” Episode six takes us to a remote lake in Eastern Washington. And finally, we end in Ecuador, with some amazing sounds Gordon recorded along the Zabalo River. "I want you to know that these podcasts are only invitations to the live concert," Gordon says. "These are invitations to listen to yourself, and to go explore the world and find your special spots." Subscribe to Sound Escapes on Apple Podcasts, Overcast, Pocket Casts, or add the RSS Feed to your podcast player of choice! Sound Escapes is made possible by Jim and Birte Falconer of Seattle, Idie Ulsh, and the Horizons Foundation. Sound Escapes is a special production from BirdNote. It was edited by BirdNote’s managing producer, Jason Saul, and written by Ashley Ahearn and Mark Bramhill. Sound design by John Kessler and Laura Giannone. Ellen Blackstone helped with editing and visuals. Social media and marketing help from Liz Felix, and technical oversight from Katie Meyer. Dionne Grayson created the Sound Escapes logo, and Bob Sundstrom and Paul Greenfield prepared our bird lists. Kate Godman is BirdNote's development director, and Liza Gonzalez-Ramos is our development and administrative associate. BirdNote's executive director is Sallie Bodie. Sound Escapes lead image © Randy Roberts. "Slate Tracker" and "A Rush of Clear Water" by Glacier Quartet-Araby from Sessions.blue. BirdNote’s mission is to share the stories that inspire listeners to care about birds and take steps to protect them. We do that by keeping our stories free and available for all. If you are enjoying our podcast, and believe in the power of great stories to help tune listeners in to nature, please support our work with your gift. You can help make a difference for birds and for the future of our shared environment. Thank you.